The features which make Alzex Personal Finance software unique in its category are total simplicity and clearness. The concept behind this personal accounting software lies in grouping expenses into categories. This is useful because one can see where money is going and how much is spent at a single glance. 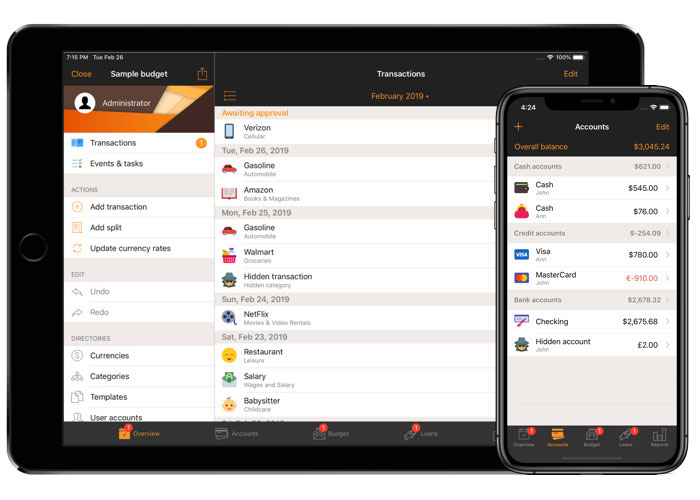 You can see at once from the summary view the way your money was spent, total sum and percentage structure for categories, balance on accounts, as well as overall balance. The system of categories is designed as a tree that may have the unlimited number of sub categories. Unlimited tags for each transaction. Users can work with a single file from several computers at the same time (on the network). The synchronization between Android phone and windows laptop is an amazing feature! 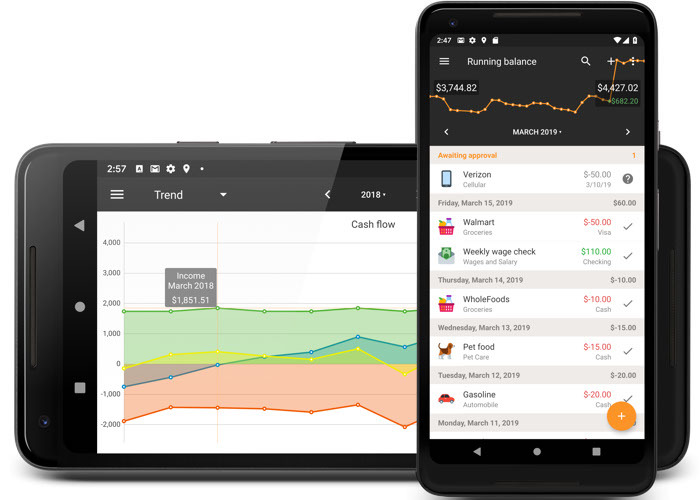 I would suggest anyone who is looking for personal accounting software both for Mobile and windows, this is the right choice. Portable accounting software can be installed on the USB flash drive. 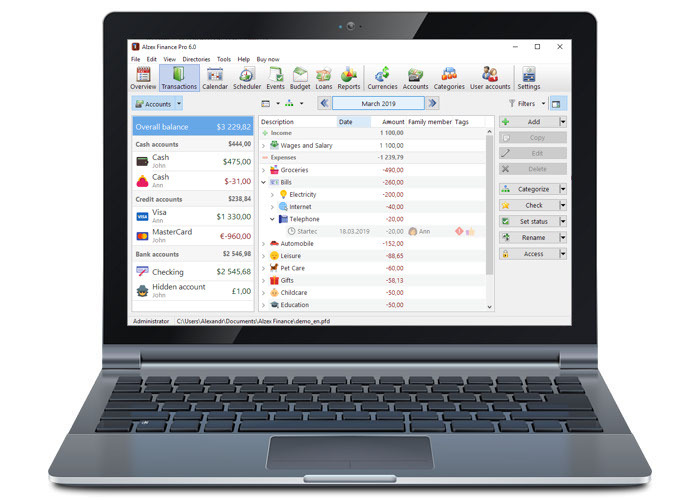 Once installed on the USB drive, home accounting software lets you keep track of home finances at all times and across different computers. This personal accounting software enables anyone to manage income and expenses with ease. Alzex Personal Finance software is easy for beginners to get started with, requires no efforts to track finances and offers a wide range of functionality and settings for professional users. It will help you control your finances – understand where your money is going, pinpoint the areas of excessive expenditure and cut down unnecessary expenses. Several people can work with the same database file. It allows you to track users who create transactions, protect transactions from changes with a password and hide them from other users. A possibility to undo and redo any changes. Batch editing (grouping, renaming and other actions over sets of records). Transaction grouping, sorting and a flexible system of filters. The program contains almost all currencies of the world, plus precious metals. Automatically download exchange rates. The scheduler lets you create recurring transactions. These transactions will be created automatically, without any user intervention, or with his confirmation, if needed. You can borrow and lend money, and it will be displayed in the program. To repay debts, you can use any account and any currency. Alzex Personal Finance software makes it easy to monitor progress in achieving your financial goals and control expenses. Whether you need to make a more realistic budget, want to get out of debt, or teach your children how to make a budget. With a glance at its summary view, reports and graphs, the user will gain deep insight into the financial health of the family budget, pinpoint areas of excessive expenditure and trim the budget. Featuring the scheduler, personal accounting software also enables you to track expected income, spending and see how much money you’ll have at a future date. What can I say - this home accounting software is very user friendly, easy to use and is full of functions that covers almost all needs for making and following personal budget. Great! 10 out of 10! You can run most software at a variety of levels, but accounting software can only be right or wrong. I am finding your personal accounting software easy to learn and really like it. Keep up the good work! I've worked with similar accounting software in the past, but your personal accounting software is so simple and light to view and use that it is almost genius. I have to say that Alzex Personal Finance software is a fantastic product; light-weight, easy to use and gives me the information I need. Awesome personal accounting software!